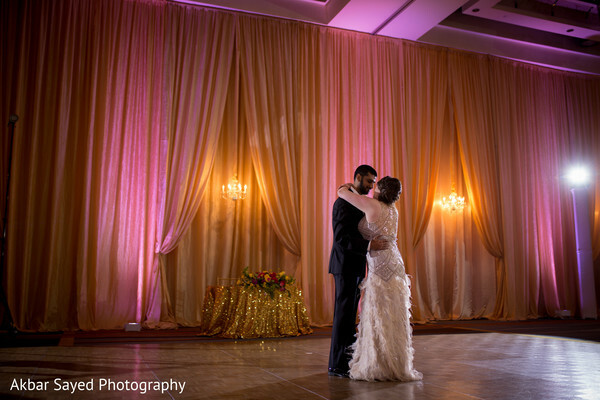 The lovely Cassie and Kishan wrapped up the festivities with fun dances, elegance and joy all packed in a memorable night! 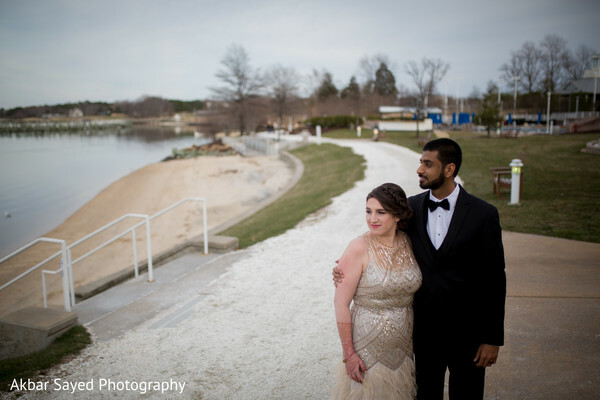 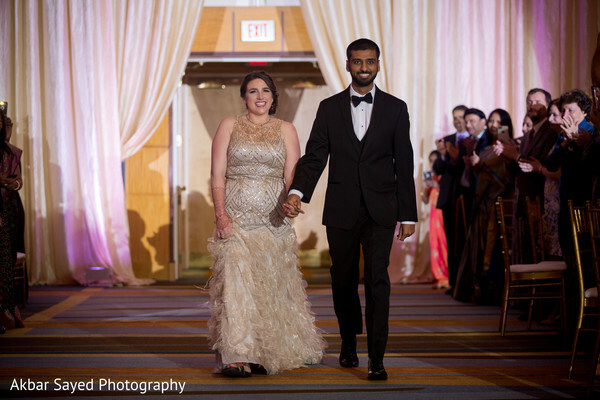 Before the excitement of their last event, Akbar Sayed Photography snapped all the glam these two exuded in their evening attire! 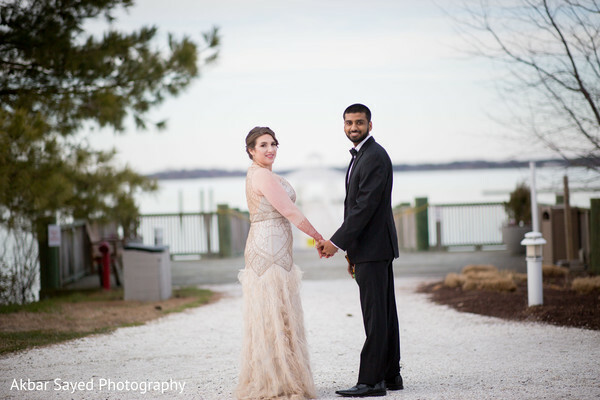 Maharani Cassie opted for a stunning Sue Wong Gatsby-like feather dress styled with a sparkling design that allowed her to flaunt the fantastic mehndi creation that Mala Amin designed in her arms. 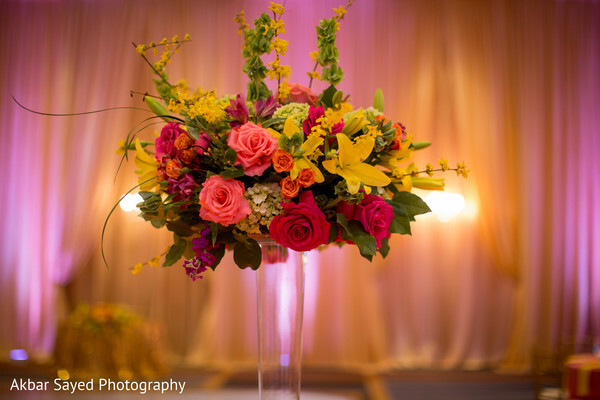 The honorable guests were delighted with a sumptuous menu from IndAroma which made everyone’s palette sizzle. 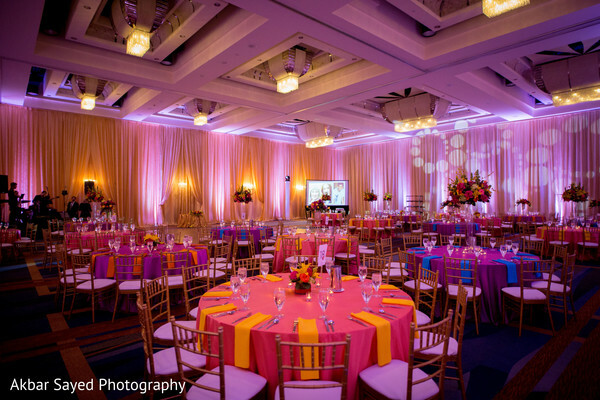 As the attendees walked into the hall they could appreciate an exceptional decor design that transformed the hall of the Hyatt Chesapeake Bay into a unique setting. 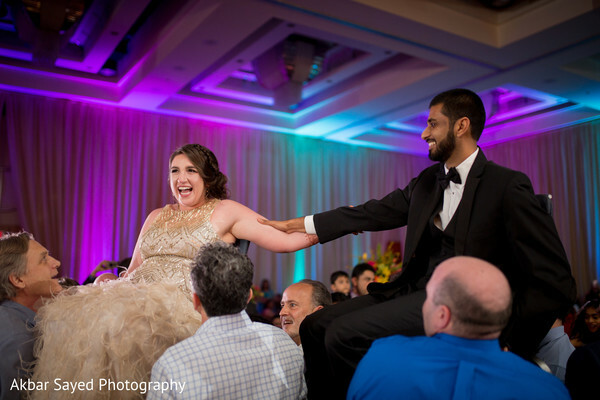 L'Ambiance Inc. added colorful florals and billowing fabrics that surrounded the guests as they hoist the bride and groom high above the crowd to the fun and exciting rhythms of DynastyAV and an energetic live performance by Bachelor Boys Band! 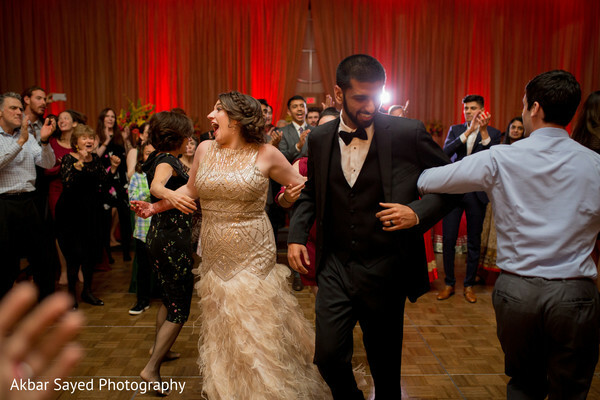 Enjoy all the highlights of this charming multicultural affair in our complete gallery! 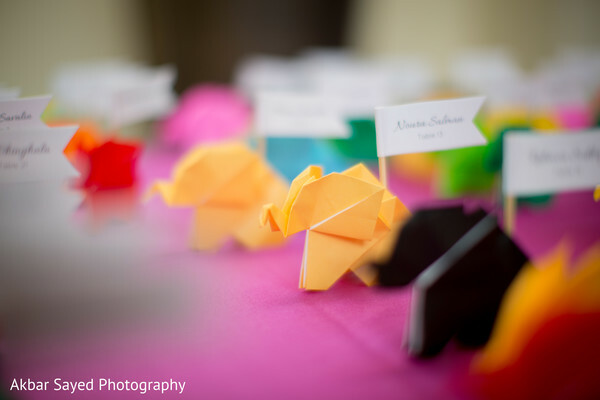 I absolutely adore all the origami details, don't you?